After many years of being together, Tammy & Mike finally tied the knot. 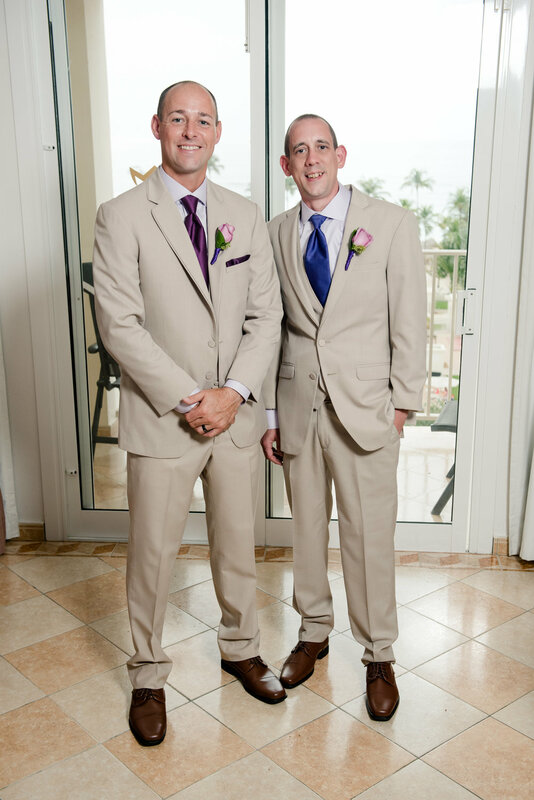 The pair decided to get hitched in Aruba and asked Björn & Company to plan the nuptials and we gladly accepted. 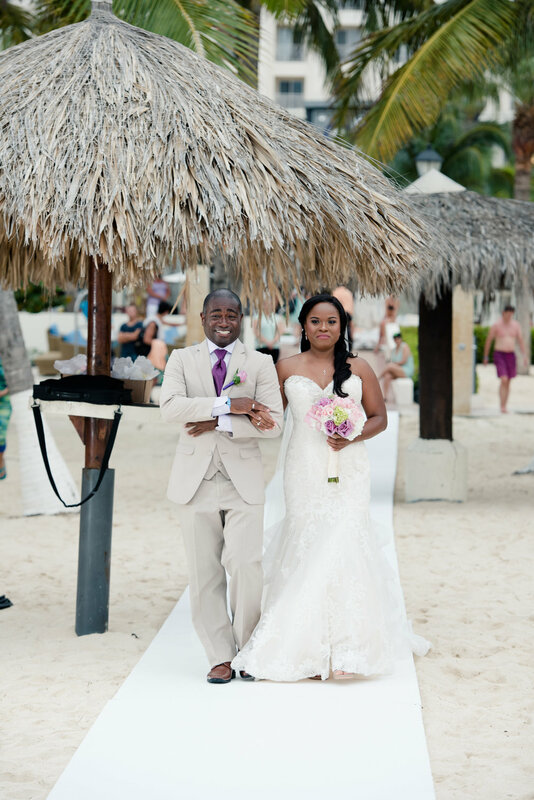 Both from Long Island, NY, Mike, and Tammy wanted a something really special. 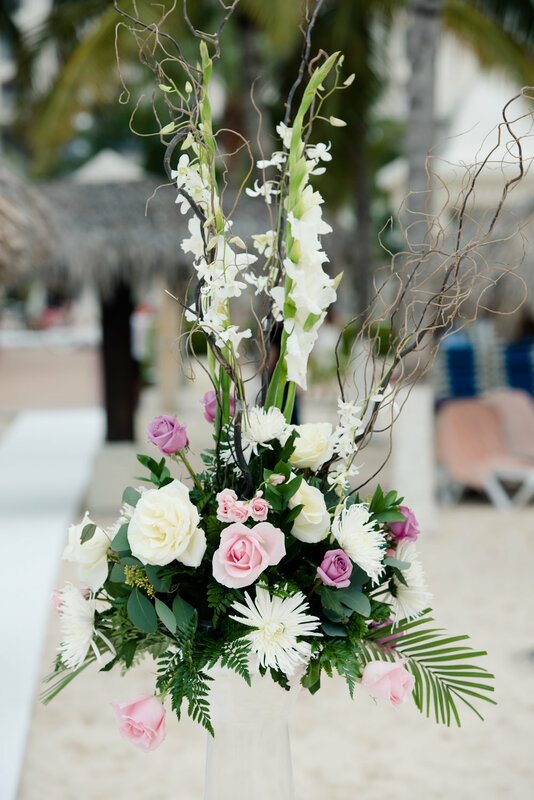 The wedding took place in Rui Palace on Oranjestad, Aruba, one of the top resorts. 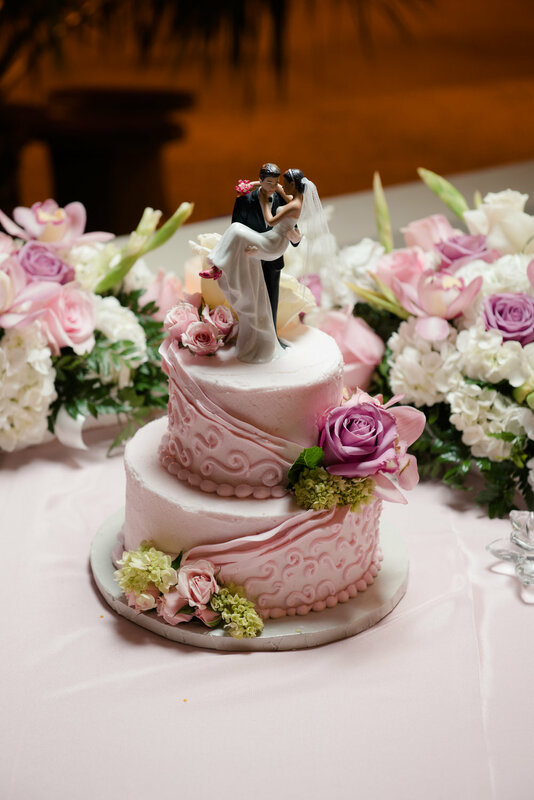 While planning, Tammy really wanted to incorporate her favorite colors which were pink and purple and struck the right balance between the two. The wedding was pretty small, a group of nine who were all close friends and family and they needed no reason to party. So let’s get into the details of the wedding. I decided to keep within Tammy’s color scheme. 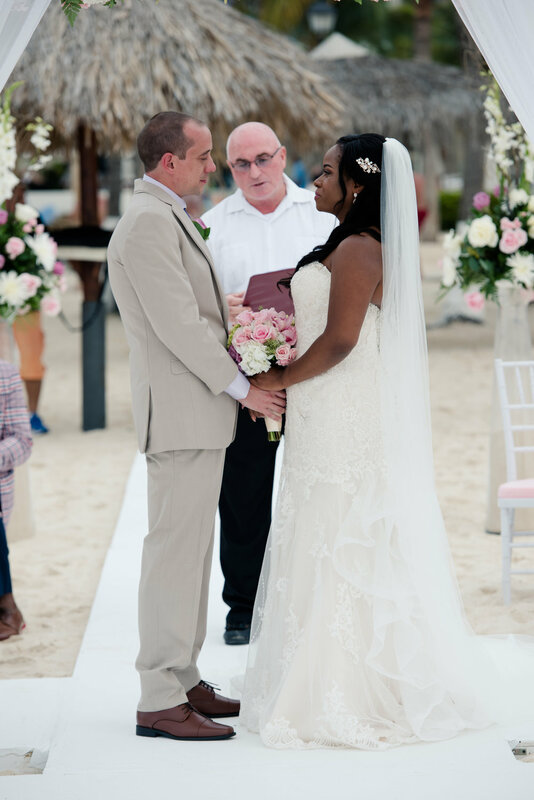 The ceremony took place on the beach, so I wanted to keep the colors light to match the blue sky. 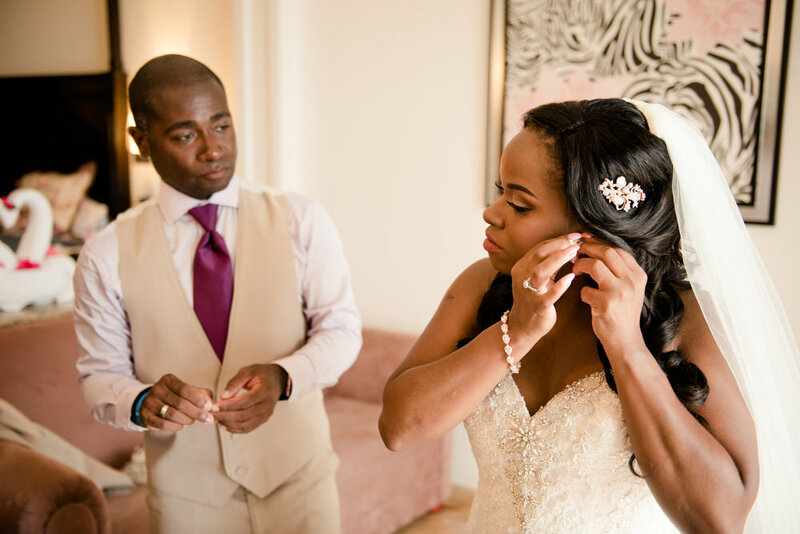 One of the touching moments of their wedding was when her brother walked her down the aisle with their parents watching over them. I wanted to honor their memory somehow and decided to frame their photo and place it on two open seats at the ceremony. After the ceremony was over, the party really started. The reception took place outside, thus the LED candles, lol. One thing about Aruba is that it gets pretty windy, but that did not stop this bunch from having a good time. They definitely had the time of their lives. 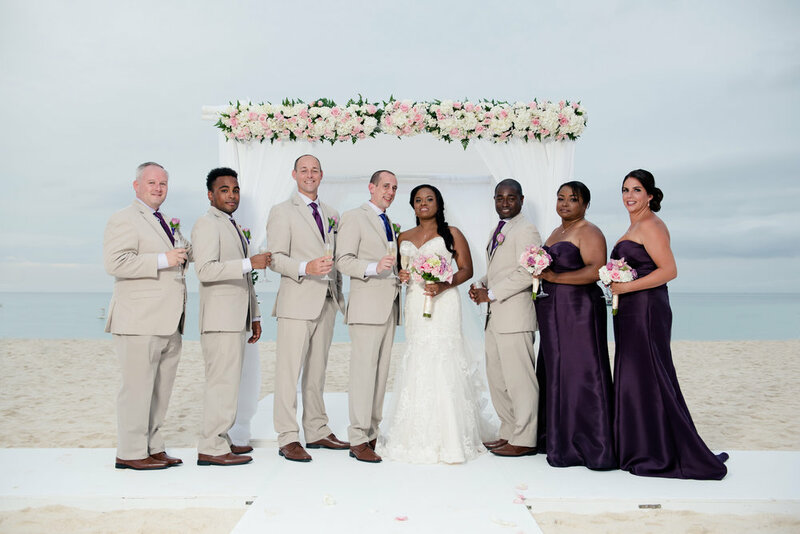 The entire group went back to Aruba for Tammy & Mike’s 1 year anniversary.